How to Reduce PC Games Lag and Play Lag Free? So you started playing your favorite computer game but can't enjoy it because of the in game lag? In this post I will be guiding you through certain tips and softwares that might help you to decrease or completely remove lagging in your games. While there is no sort of magic trick to help you increase your "fps" in games, these tips will definitely help you. 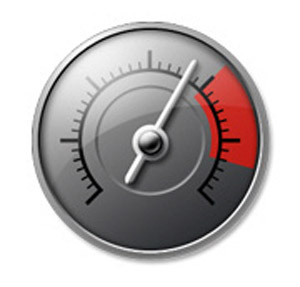 Game booster is a software which closes unnecessary process and programs and frees up RAM and memory. To use this software just run it and then start your game. 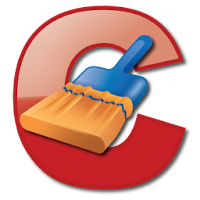 I know many might know about this but for those who don't, CCleaner is a software which does a bunch of stuff like clears up temporary memory and cleans your registry. I recommend you to download this software an at least once clean your hard drive for free space and clean your registry. This will help your system breath some fresh air and even help it run faster. This tip doesn't require any kind of software to download. The software you require is already present in your system. Go to All Programs > Accessories > System Tools and then click Disk Defragmenter. Now just Analyze and Defragment your Hard Drive. What happens is that the files on your Hard Drive gets fragmented. So its difficult for your computer to find the required files and do a task. Let me give you an real life example, when your room is dirty and all messed up, it is difficult to find the required things when you are searching for it but when your room is clean and perfect, its very easy to find the required thing. Same thing happens with our computer too. I know you know this step but let me give it to anyway. When you don't have a proper graphics card, its just impossible for you to play games, free of lag at the highest possible setting. So you need to lower your graphics settings. Head over to your graphics settings of your desired game and tinker with the screen resolution and texture quality. Play with the settings for sometime till you find the sweet spot where the game lag gets eliminated. You can also disable the anti-alias and anisotropic filtering features. These are some of the tips that I personally use while playing games. Though I don't have a great graphics card, I am able to play GTA IV, Call of Duty, Crysis and other graphics intensive game free of lag. Though this tips will definitely help you out, but I will always suggest you to buy a graphics card for a better experience. You don't need to spend a fortune on it, they are pretty cheap these days. You can check out my post on Best Budget Oriented Graphics Card. Do you have any question or any tips that you would like to share? Feel free leave a comment in the comment section below.